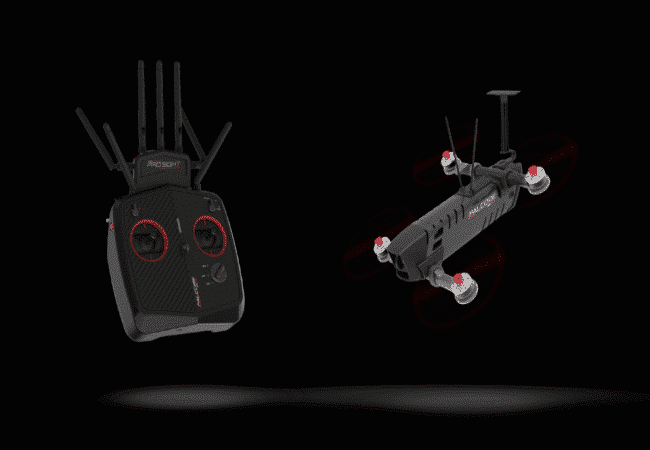 Amimon’s believes its Racing Drone FALCORE is the future of drone racing. Its patented “Shield” mode, automatically puts the drone in hover, allowing drone enthusiasts of all levels to fly without fear of crashing. If you are from my generation you probably remember the first remote control airplane. It was the first evolution of allowing us normal folk to feel like pilots. But as we have seen, technology knows no bounds, and drones, as well as UAVs, become the new trend. Drone racing is becoming one of the hottest competitor and spectator sports in the world. Experienced pilots and school children alike are taking to the skies, competing in speed trial and aerial acrobatics, constantly pushing the limits of technologically advanced UAVs. One of the newest iterations of drone racing is the introduction of cameras attached to the drones, allowing for First Person View (FPV) flight. This means actually providing a drone pilot with a “cockpit view” by wearing wireless goggles. However, many of these goggles have lag in the flight video, and this issue coupled with the high learning curve associated with drone flying can create complications for perspective racing pilots or anyone else looking to take this on as a hobby. An Israeli company, experts in wireless HD video, feel that they have developed a racing drone with technology that tackles both these issues. Amimon, founded in 2004, has been developing wireless HD video technology for various fields ranging from the Hollywood big screen to micro-medical procedures. The company has recently developed and released a racing drone aptly named FALCORE, which they believe will allow drone enthusiasts of all levels to become pilots right out of the box. 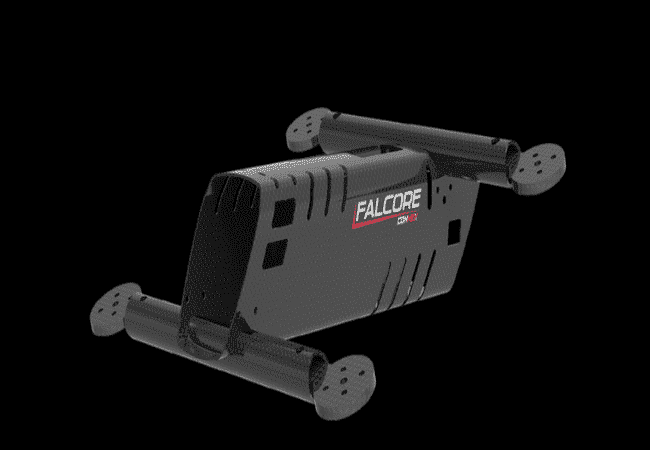 FALCORE comes ready to fly with Amimon’s wireless HD video system embedded. According to the company, pilots who use FPV goggles will experience zero-latency video while flying FALCORE. What separates FALCORE from other racing drones is its patented “Shield mode.” Amimon claims that this unique flight mode uses sonar and barometer sensors, enabling the pilot to keep their drone at a fixed altitude removing the fear of crashing. This coupled with a tough carbon fiber chassis provides upgraded protection for all the electronics on board. The general public is very excited to fly FALCORE as the drone was sold out within two weeks. While it shows great promise, it is too new to begin drawing conclusions. Only time will tell if FALCORE is the next evolution in wireless drone racing.